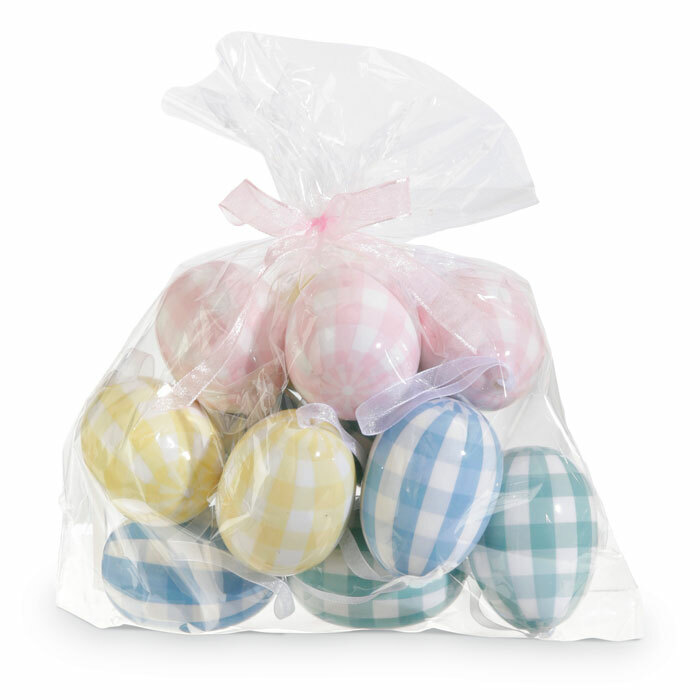 A quick and easy way to add Easter cheer, our set of plaid Styrofoam eggs (blue, pink, yellow and turquoise) arrives in an organza bag with ribbon, ready for gift-giving. Formerly $28, now 40% off. Discount may not be applied to prior purchases.